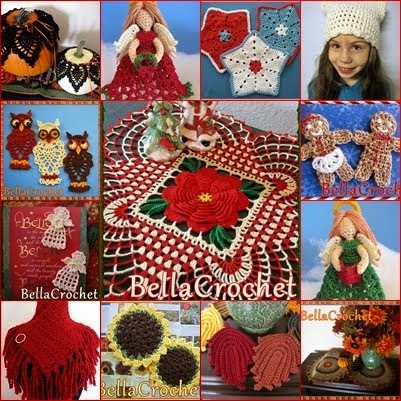 Instead of having a Friday contest this week, I am giving everyone a free pattern! This is one of my all time favorite designs, and I hope you will enjoy it! Size: About 5” tall including Halo. Note: Work Rnds 1-9 in rounds, do not join. Mark first st of each round. Rnds 17-19: Sl st across to ch-2 sp of first sm shell, beg sm shell in ch-2 sp of first sm shell, sm shell in ch-2 sp of each sm shell around, join. Rnd 21: Join trim color with sc in ch-2 sp of first shell, ch 3, sc in next ch-1 sp, ch 3, *(sc, ch 3, sc) in ch-2 sp of next shell, ch 3, sc in next ch-1 sp, ch 3; repeat from * around, join with sl st in first sc. Fasten off. Repeat Rnd 2 until Arm measures 1 1/2”. Fasten off. Cut a 4” piece from chenille stem. Fold each end of stem over 1/2” so that it measures 3”. Slide one Arm onto each side of stem. Rows 2-5: Ch 3, working in back lps only, sc in each of first 8 sc, 3 sc in next sc, sc in each of next 7 sc; leaving remaining sts unworked, turn. Row 6: Ch 3, sl st in back lps of each of first 3 sc. Fasten off. With yellow, ch 20, sl st in first ch to form ring; ch 1, sc in first ch, ch 2, (sc in next ch, ch 2) around, join with sl st in first sc. Fasten off. NOTE: Make either the Wreath or the Song Book for each Angel. With green, ch 12, sl st in first ch to form ring; ch 1, sc in first ch, ch 2, (sc in next ch, ch 2) around, join with sl st in first sc. Fasten off. With red, (ch 2, hdc in 2nd ch from hook) 2 times, sl st in first ch of first ch-2, (ch 2, hdc in 2nd ch from hook) 2 times, sl st in same ch as last sl st. Fasten off. Row 1: With red, ch 11, sc in second ch from hook, sc in each remaining ch across, turn. Rows 2-7: Ch 1, sc in each st across, turn. At end of last row, fasten off. 2: Slide Arms through arm openings on Rnd 12. Glue in place and allow to dry. 3: Place Halo and Wings on blocking surface. Spray with starch, shape and allow to dry. If using Song Book, place on blocking surface, spray with starch, fold in half and allow to dry flat. If using Wreath, place Wreath and Bow on blocking surface, spray with starch, shape and allow to dry. 4: Glue Wings to back of Angel. Glue Halo to back of head. 5: If using Wreath, glue Bow and red seed beads to Wreath. Allow to dry. 6: Glue either Song Book or Wreath to each Angels hands (open Book as shown in photo.) Allow to dry. 7: For hanger (optional) cut an 8” length of thread to match trim color of dress. Fold strand in half and glue cut ends to bottom of Halo. Allow to dry. Special thanks go to E.J. Miller and Jewel Fernly for testing these patterns. I am so blessed to have such wonderful testers! Thank you so much for the lovely pattern. It is so very kind of you to share it with us. 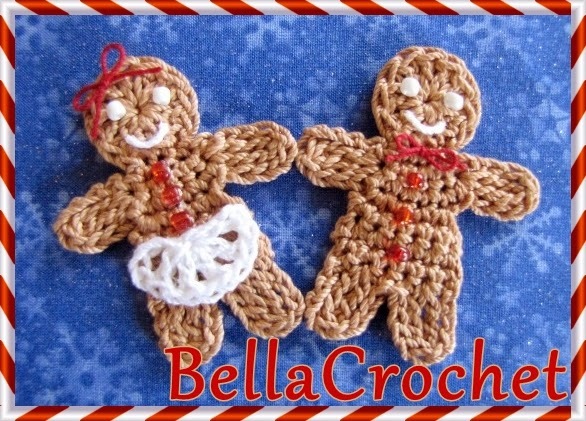 Thank you so much for sharing the adorable angel pattern will definitely be making a couple soon! Exactly what i have been looking for....thank you! 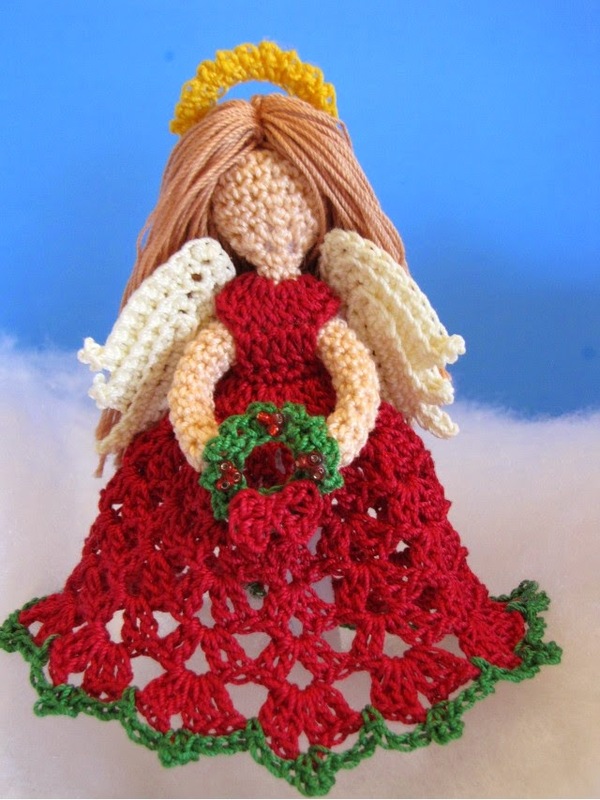 I had been wanting to make some angels and I was resolved to come up with my own pattern. Then, I saw these beauties and new that they were perfect. I absolutely love them! Thanks so much for such a great pattern. Thank you for sharing this pattern and also the Tiny Christmas Angel. 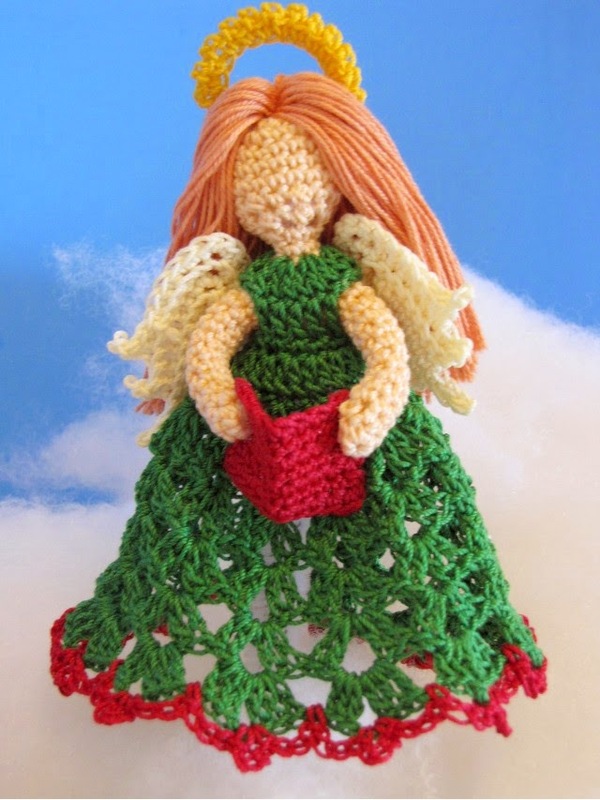 I crocheted the Tiny Angel in pink and included it in a card to a cancer patient. I think your tutorial on hair for the angel is going to help me in a lot of other projects. I really struggled with hair. I never could get it to look right. The knot, when attaching, always showed. Are you sharing the Bluebird you have on your blog? I love it. Thank you, Janet, I am glad you like the patterns! The Blue Bird is from my Blue Birds of Happiness Doily which is for sale in my Etsy shop. Thanks so much for sharing. These are lovely. 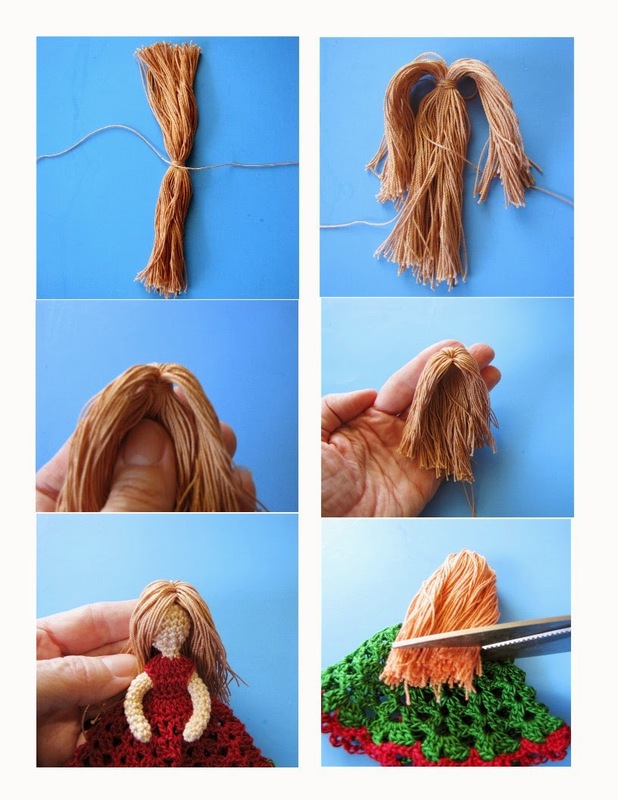 I think they would also make a lovely doll in worsted weight yarn. Thank you for sharing the Christmas Angel pattern.